It’s time to take another guilty look at my absurd backlog, and today I’m focusing on Namco-Bandai’s Tales of Graces f. An enhanced port of a 2009 Wii title, this PlayStation 3 version added a ten-hour epilogue (hence the ‘f’, for ‘future’), and finally made its way here last August. If you’ve been reading my blog for a while (first off, thanks! ), then you may remember that I made an unboxing video of the Day One edition that Namco-Bandai put out at Graces f‘s release back in August. And a very generous set it was too, comprising a gorgeous, full-colour (albeit paperback) artbook, a behind the scenes DVD and a soundtrack disc. I was very excited for the game; I was quite new to the Tales of series at the time, having played Tales of the Abyss on 3DS and (most of) Tales of Vesperia on my 360, but I became a big fan of the series right from the start. I knew I wouldn’t be jumping straight into Graces f, as I was knee-deep in something else at the time (I can’t remember what though…), so I had intended for it to inhabit The Shelf for a while. But recently, a couple of things have really tempted me to get stuck in. 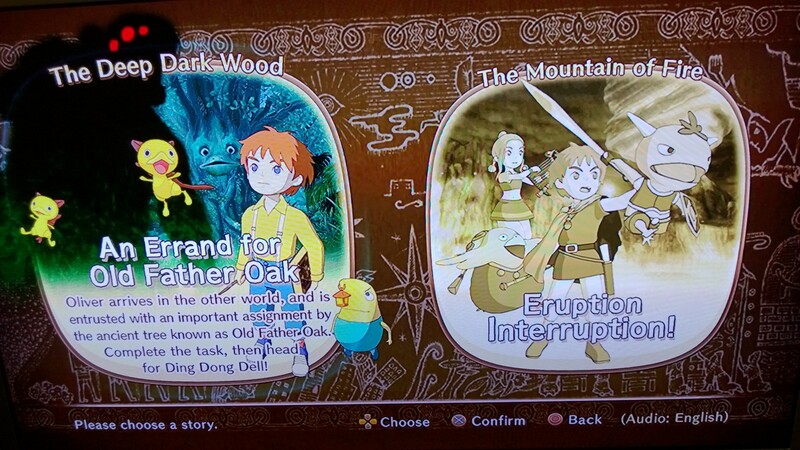 First of all, I’m currently playing another beautiful, colourful Namco-Bandai RPG – Ni No Kuni. I’m now about 16 hours into Level-5’s collaboration with anime house Studio Ghibli, and loving (almost) every second of it. It really is a beautiful game, and genuinely looks like a Ghibli anime. It’s quite an achievement; we’ve seen cartoon-y games before, but the sumptuous colours and bright, clean shading really elevates Ni No Kuni‘s art-style above other aesthetically-similar games. Visually, it reminds me of the couple of Tales of games I’ve played so far (Abyss and Vesperia), as they’re also very colourful and possessed of stark, clean lines and use of flat colours and cartoon-y shading. Playing Ni No Kuni has reminded me that Tales of Graces f sits unloved on my shelf, and also that I still need to finish Tales of Vesperia (a game so good I bought it twice!). Speaking of Vesperia, that game is another reason for my sudden desire to play Graces f. I recently watched the anime prequel Tales of Vesperia: The First Strike, and it reminded me how much I loved the game’s characters – Yuri Lowell might well be my favourite jRPG protagonist ever, and young mage Rita Mordio is fantastic, possessed of the kind of attitude that usually only inflicts one who is too good, too young – but I never finished the game. I reached the final dungeon (The Tower of Tarqaron) a few months back, and then decided to ‘take a break’. I absolutely loved my time with Vesperia (I might even call it the best jRPG I’ve played this gen), but there was one difficulty spike that took me close to ten hours to overcome (and also took me perilously close to crying real man-tears). When I reached Tarqaron, I worried that I might find the final boss insurmountable, decided to leave it for a few days… and then never went back. As I’ve been getting strong Tales of cravings recently, I’ve decided to go back and finish it off soon – maybe even today. 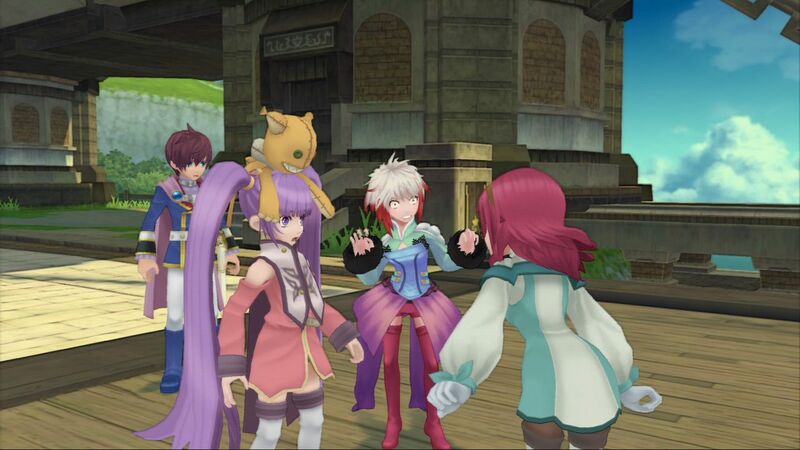 But I only have a few hours of the game left to me, and I really want to experience a full-on Tales of journey, so it’s handy that I have Tales of Graces f, which hasn’t even graced my PS3’s disc drive yet, to scratch that itch. The only problem is that it’s calling to me so strongly right now that I’m tempted to play it concurrently with Ni No Kuni, and this I must resist! I don’t think I can handle two massive RPGs at the same time (and I’m still dipping into The Witcher on my PC every few days). So, provided I can hold out, I’m pencilling in Tales of Graces f as the next title in my backlog that I aim to tackle. And I know I’m in for a good time; PSG’s own Dan Bushell put the colourful jRPG in at number three on his top five games of the year list, and if Dan loved it, I’m sure I will too. Ni No Kuni takes the top spot! The long awaited jRPG Ni No Kuni, which was co-developed by Level-5 and anime powerhouse Studio Ghibli, has finally hit the gaming world, and it’s stormed the charts in style! Many genre fans will agree that jRPGs aren’t as popular as they once were, yet this stunning game has arrived and now sits astride the charts, occupying the top spot against such massive competition as FIFA 13, Call of Duty: Black Ops II and Far Cry 3. These titles may have released in the tail-end of 2012, but they’re still selling in high enough numbers to take the following three spots behind our colourful adventure. 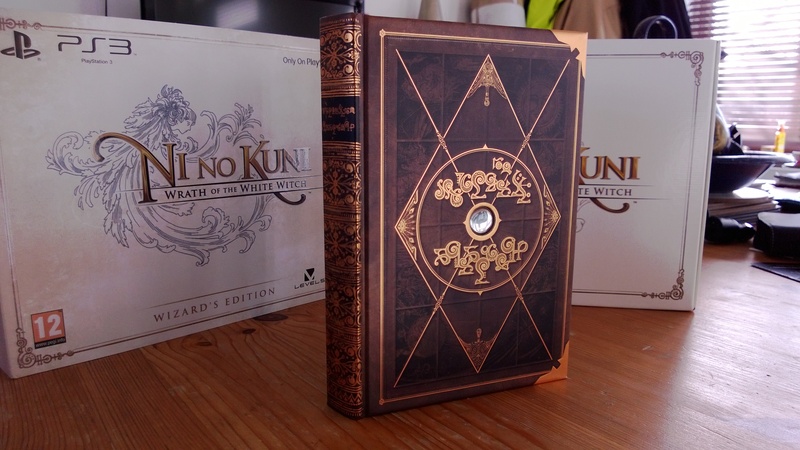 I am a huge fan of the genre, so I was always going to buy this (in fact, I pre-ordered the lavish Wizard’s Edition the day it appeared on the net), but Ni No Kuni‘s chart performance has me very excited about how popular it has been, and I’ve been wondering whether it’s been down to pent-up demand from genre fans, or perhaps new fans are being drawn to jRPGs? I hope for it’s latter, and if that’s the case perhaps it’s the presence of Ghibli – often cited as Japan’s answer to Disney – that is what’s drawing new fans in?. If it’s the former, there’s certainly pent-up demand to be had; this gen has been a bit sparse as far as Japanese role-playing goes. Sure, we’ve had a handful of excellent genre examples this gen – Mistwalker’s Lost Odyssey and The Last Story, Monolith Soft’s Xenoblade Chronicles and Namco-Bandai’s own Tales of series has furnished us with Vesperia and Graces f, and before long we’ll have Xillia to be getting on with. But I don’t think any of these titles have had a massive impact on sales, certainly not doing as well as we would’ve seen last-gen. Final Fantasy XIII sold a lot, as Final Fantasy titles tend to do, but its sequel only managed half the numbers. As well as lesser sales, we don’t seem to get as many releases as we would have in the past. During the PS1 era, jRPGs were a powerhouse genre, thanks in large part to the success of Final Fantasy VII. The PS2 was rammed with jRPGs, the Dreamcast had the likes of Grandia II and Skies of Arcadia, and the Tales of series graced the GameCube with Symphonia. But this gen there’s not been much. Some titles just don’t seem to leave Japan anymore (even a Final Fantasy spin-off, Type-0, is MIA here); it can be frustrating when titles don’t secure a release over here due to a presumed lack of interest, and it ends up being a vicious cycle; we don’t get the titles, and so demand drops, and then we don’t get the next title, because the demand is too low. Tying into this thought, I think back to the Eurogamer Expo in London’s Earl’s Court in September. Ni No Kuni was demoed there, but it was plain to see where most attention at the Expo was going. There were a lot of titles on show at Earl’s Court; big, highly-anticipated titles like Assassin’s Creed III, Black Ops II, Halo 4, Far Cry 3 and others. People were going crazy for these games – they’d queue for over an hour to play a game for ten minutes! Many at the Black Ops II demo seemed to be queuing for that one game over and over, all day long! Contrast this with Ni No Kuni‘s demo area, where a fraction of the number of machines were set up, and you could also walk straight up to play the game at pretty much any time of the day. Namco-Bandai had one staffer on duty from what I could see, yet you never had to wait for her to finish helping someone else before she could talk to you. It just didn’t have anywhere near the interest of other games there; nevermind CoDBlOps, the Doom 3 BFG Edition demo area was busier! And yet here, this week, sits Ni No Kuni, at number one. Perhaps game sales are down across the board so soon after Christmas, meaning it’s easier to gain the number one spot, but I still call this a significant achievement – Black Ops II was actually top last week, proof that it’s still selling well. That Ni No Kuni has managed such a feat while many places have been struggling for stock is both impressive and disappointing – if Namco-Bandai had issued more copies, they surely would have sold more, but that’s the nature of risk/reward for you, and the company seems to have a habit of downplaying demand for their jRPGs (the Tales of series says hi!). But with Ni No Kuni topping the charts, we can certainly hope it has both pulled in a lot of older fans and a newer generation of gamers to the genre who may never have experienced such games. And we can hope, when the time comes to release Tales of Xillia, that Namco-Bandai remembers this week’s chart. 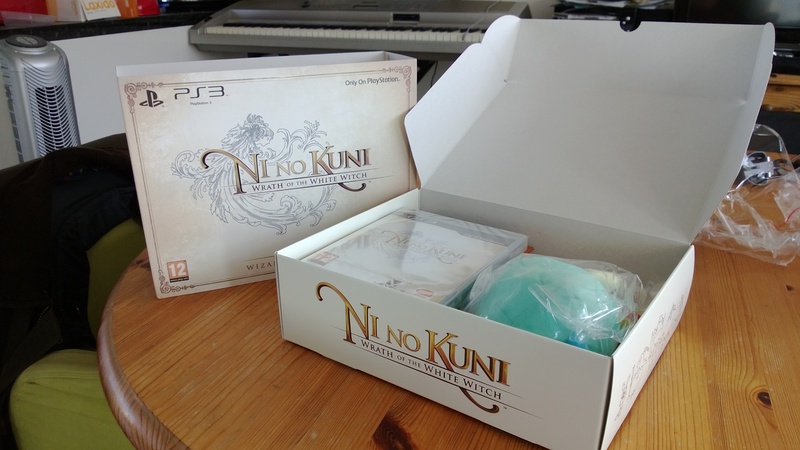 Ni No Kuni is finally in my hands! I’ve been waiting for this game for years, so it feels a bit strange that I actually have it now. Back in June, I pre-ordered the generous Wizard’s Edition, and I had intended to make an unboxing video for it, but I have a noisy house today so we shall have to make do with a handful of images, which leads us nicely to this quick look at what you get in the box. It’s quite a large box, and it has to be considering it holds the game, a large hardbound book and a lovely Mr Drippy plushie. It comes in a flip-top box with a card slipcover over it and a nice piece of line art takes up most of the front. Poor old Mr Drippy is suffocating in a plastic bag, so let’s set him free. That’s better! Tidy, mun! 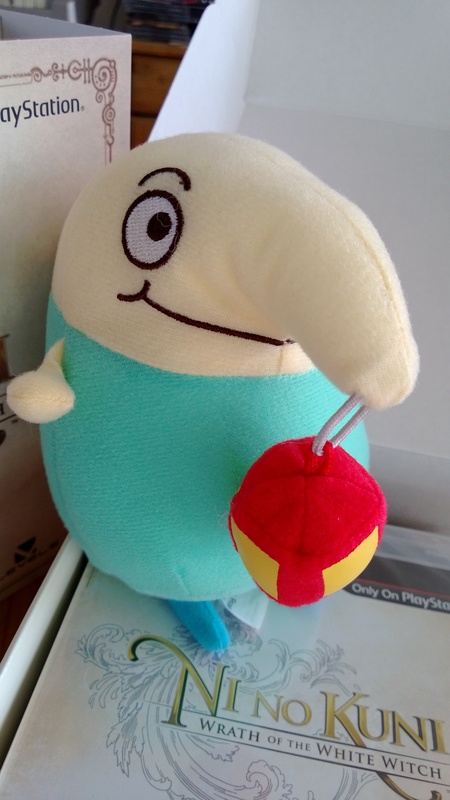 I’ll sit Mr Drippy on my shelf, next to my chocobo. From what I gather, it’s necessary to use the book while playing the game in order to solve some puzzles. There is an in-menu version of the book to scroll over, but I’m quite happy to have a physical edition to scour at my leisure, and it looks like there’s quite a bit to read, from profiles of familiars to spell runes to alchemical recipes, a full bestiary, a collection of short tales and much more besides. Aaand that’s it for now. 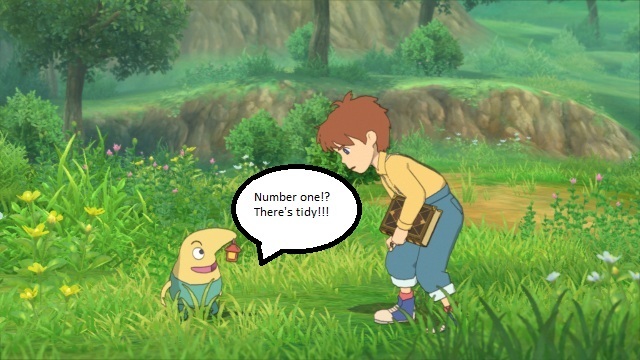 I’m itching to get playing, so enjoy the images, and if you also get Ni No Kuni today, leave me a comment below and let me know what you think so far. Well, this is annoying… One week into the new year, and we already have news of a delay on a highly anticipated title – this one just a couple of weeks away from release. The official Facebook page for the Level-5 RPG Ni No Kuni has posted a status update within the last hour detailing a one week delay to the European version of the game. The U.S. release, set for January 22nd, will go ahead as planned. The reason given is a shipping delay between Namco-Bandai’s U.S. and European distribution networks. Those that have been following Ni No Kuni have been doing so for years (indeed, it was originally announced back in 2008), so this delay of a week shouldn’t be too much of an annoyance. It is rather galling that it should be pushed back so close to release, though, especially as we’ve just entered the new year and many will be looking forward to 2013’s new releases (incidentally, I’ll be posting about some of my most-anticipated titles for the start of the year soon), and I think many will be wondering if distribution shouldn’t have been locked down at this point – the game was due on store shelves on the 25th of January, after all. To make up for the delay, the Facebook post detailed a free download of a new familiar (used in the game’s battle mode) that will be available to download on release day, which is now listed as February 1st. The full post from the Ni No Kuni Facebook page follows below. 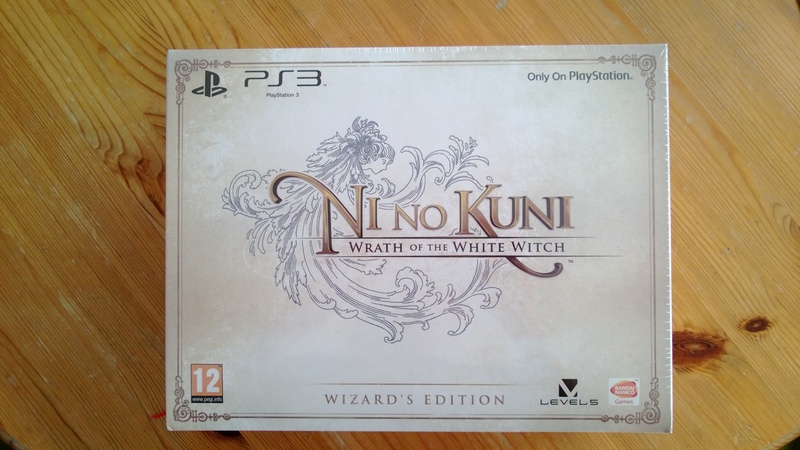 “Ni no Kuni: Wrath of the White Witch will be available at retailers and through the PlayStation Store on the 1st of February 2013. The European release date has been postponed for a week due to a shipping delay between Namco Bandai’s U.S. and European distribution networks. The game will still be in stores and available for download on January 22nd in North America. It’s Ni No Kuni demo time! Yesterday, I wasn’t sure which demo it would be, from the two I have seen at a couple of different Expos this year. It turns out that the PSN demo is the one I saw fairly recently at the Eurogamer Expo at London’s Earl’s Court in September, which featured a forested level and a volcano section. This seems to be unchanged from what I saw at EGX, and unfortunately even carries the 25 minute time limit that was present in the build that was on the show floor. I eagerly plunged in though, starting with the first playable section, titled ‘An Errand for Old Father Oak’. As I’m sure you can guess, this would be the forest area I mentioned earlier. It starts off with a boss fight, against the wayward guardian of the forest, and if you don’t keep your distance, it’s very easy to lose – indeed, should the guardian get close enough to knock you down, he can hit you again before your character, Oliver, has a chance to get back up, effectively leaving you unable to do anything but wait for a KO. Keep your distance, and you can throw out the odd fireball, heal or defend with plenty of time, or simply switch to your one and only familiar in this section, a tiny imp with a sword and cape named Marr Mite. Marr Mite can attack directly (as can Oliver, but it’s really not worth the effort), or use a special move called ‘Cut Loose’, which is more damaging but drinks up MP. This boss battle effectively works as a tutorial (so long as you don’t foolishly rush headlong into battle… ahem), and Oliver’s Welsh companion Drippy will chime in at a couple of points to tell you about defence or the items that occasionally pop out of the guardian after a number of hits. One of these items, a shining golden orb, allows Marr Mite to pull off a super move at no MP cost, which brings and end to the battle. The guardian, weary, trudges back into the forest, leaving Drippy and Oliver to wonder whether he’s back to his old self. Next up is a chat with The Great Deku Tre… I mean, Old Father Oak, who gifts the pair with a stone tablet, which seems to serve as your in-menu manual and help system, as well as a magical locket (and the magic needed to use it) to help restore people’s hearts. Oliver thanks the great oak that looks a bit like a bird for some reason, and the pair leave for a place called Ding Dong Dell, where, with the help of the locket and spells, they plan to heal the heart of a down-on-his-luck guardsman. We leave Old Father Oak’s grove and wander through the forest, and it strikes me that this is a lovely looking game. It’s not a massive technical achievement (characters and environments seem to be of fairly low poly counts, and textures aren’t massively detailed), but it’s a beautiful game nonetheless – bright, colourful and artistic, it looks like a cartoon brought to life, and if it reminds me of anything, it’s Tales of Vesperia with Ghibli’s art style. That allusion to Vesperia strengthens when out on the world map. It’s strikingly similar to that other Namco-Bandai title, using a high bird’s eye view, with enemies visible on the field, but Ni No Kuni‘s world map does seem a bit more detailed than Vesperia‘s. It’s a short trek to Ding Dong Dell (which is a good thing, as the clock is still running), and as we reach the gate, we’re treated to a cutscene showing us the aforementioned depressed guard. Apparently, his colleague can’t open the gate without his listless friend, so people have started to pile up trying to get into the town. Drippy tells Oliver he must use his locket and new spells to borrow some of the happy-go-lucky guard’s enthusiasm, and give it to the other one. Which apparently is nowhere near as creepy as it probably should be. With the guard back to his old self, the gate to Ding Dong Dell can be opened, and Oliver and Drippy can enter to… well, to nothing, as my timer runs down and my demo is over. Luckily, there’s another scenario to play through, ‘Eruption Interruption!’, which takes place on the appropriately-named Mountain of Fire. Here, the aim is to get to the top of the mountain before it erupts, with Drippy stating (loudly and often) that we have but three minutes to reach the summit. So, off we set, with new addition Esther in tow, which adds another party member, as well as her familiars, to the battle party. This scenario obviously takes place further into the game, with Oliver now having command of three familiars, which helps to shake things up a bit. You can also swap between Oliver and Esther freely, commanding either them or their familiars, so it seems like the battle system should be fairly involved once you’ve gathered enough wee beasties and learned the basics. Along the mountain path, enemies roam and jets of steam burst forth from cracks in the stone, slowing your ascent. It’s not particularly difficult to reach the top in under three minutes, though, and once you do, you learn an important lesson: Drippy lies! But that’s not your primary concern here: antagonist Shadar (who was briefly mentioned in the first demo level) shows up to, well, antagonise our heroes, calling up a massive fire beast called Moltaan to fight you. This battle is a bit tougher than the boss from the forest scenario, but here we have stronger and more numerous allies to call upon, so with careful use of provisions (hot coffee for MP, sandwiches and bread for HP), Oliver and Esther win through. As Moltaan falls and writhes about in the pool of lava from whence he came, Oliver uses a spell to detach a massive boulder perched precariously above the beast. It falls on Moltaan’s head and buries him deep in the molten rock. Clearly, Oliver is not messing about. With that, the demo ends. I beat the clock! I’m actually looking forward to this a little more now. At Eurogamer Expo, I watched a couple of friends play these two scenarios, and wondered if the battle system might be a little bit on the simplistic side. But having gone hands-on with it in a comfortable, quiet place, it seems like it should offer a good amount of depth. It looks as though we’ll be allowed three familiars in battle, so choosing and levelling up your best battle team across both characters will no doubt form the meat of the game. Aside from that, it’s a genuine pleasure to look at, and the voice-acting (what little there is of it) is well-done – my only concern here is that the vast majority of dialogue in this demo is text-only. Hopefully, this will be rectified for the final release, otherwise Ni No Kuni may end up being a curiously silent game much of the time. There’s little story in these demo chapters, but given that we’re getting two 25-minute slices with a boss battle, that’s to be expected. The interplay between characters seems to be of the usual high Ghibli standard, more so in ‘Eruption Interruption!’, as we have Esther along for the ride, but I’m really looking forward to getting stuck in when my copy arrives next month, and I hope to find another magical Ghibli fable, backed up with a beautiful world and solid mechanics. 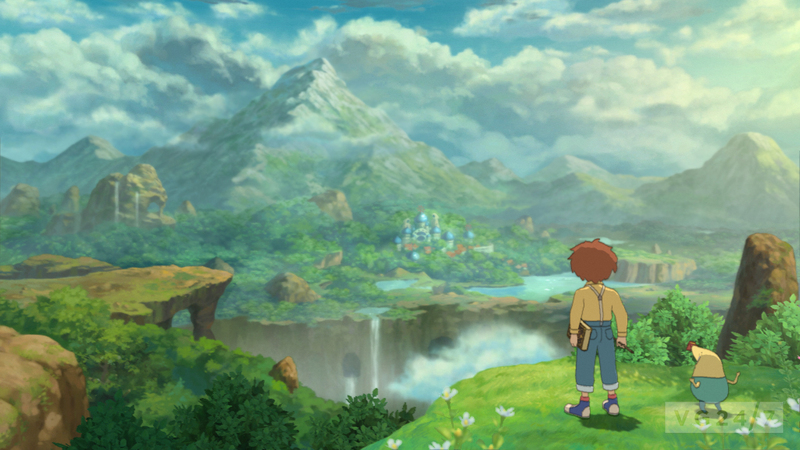 Ni No Kuni releases in the UK on January 25th. Level-5’s gorgeous collaboration with Studio Ghibli, beautiful RPG adventure Ni No Kuni now has a demo available on the UK PSN. This was announced on Monday, and I think this is the quickest turn around from announcement to availability that I’ve seen. I’m currently downloading the demo now; it’s 2.6GB, so will no doubt take the better part of the day to finish downloading (why is my PS3 so slow!?). I’m planning a write-up once I’ve played it, so that will probably be up some time tomorrow – be sure to come back then if you’re interested enough to read about it, but too disinterested to download it. As for what the demo contains, I don’t yet know: I’ve seen two separate demos of Ni No Kuni this year, one at May’s London MCM Expo (which contained the two scenarios ‘First steps in a Faraway Kingdom’ and ‘Hamelin: City of Machines’, home of the famous gammon cannon), and another at September’s Eurogamer Expo, which contained a further two scenarios (a forested section and an ascent up a volcano). My guess is we’ll get one these two demos, seeing as the code is already done and tested. Which one it will be, I don’t know; I could do some reading around forums and find out, but I don’t want to spoil the surprise for myself. I’ve got the rather expensive Wizard’s Edition on pre-order, so hopefully my experience with the demo will be a positive one. Come back tomorrow to find out. Ooh, the suspense! 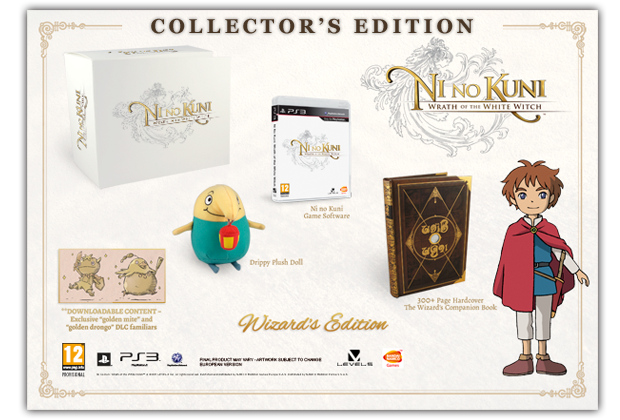 Ni No Kuni Wizard’s Edition announced. Publisher Namco-Bandai has announced a special edition for Level-5/Studio Ghibli RPG collaboration Ni No Kuni: Wrath of the White Witch, and it is an absolute cracker. 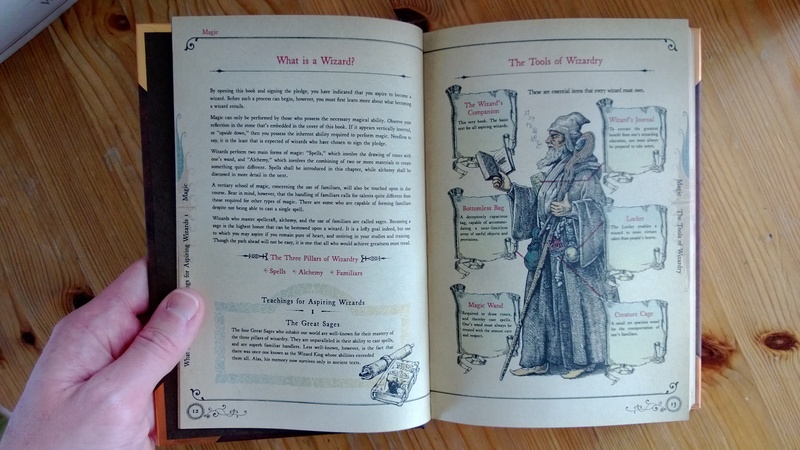 The lavish ‘Wizard’s Edition’ comes in a large presentation box, and contains a 300-page hardback copy of The Wizard’s Companion (the same spellbook used by protagonist Oliver in-game), a plush toy version of Oliver’s droop-nosed familiar, Drippy, as well as two DLC familiars; Golden Mite and Golden Drongo. Those that pre-order the set from participating retailers will receive two more familiars exclusive to the Western release – Flutterby and Griffy. 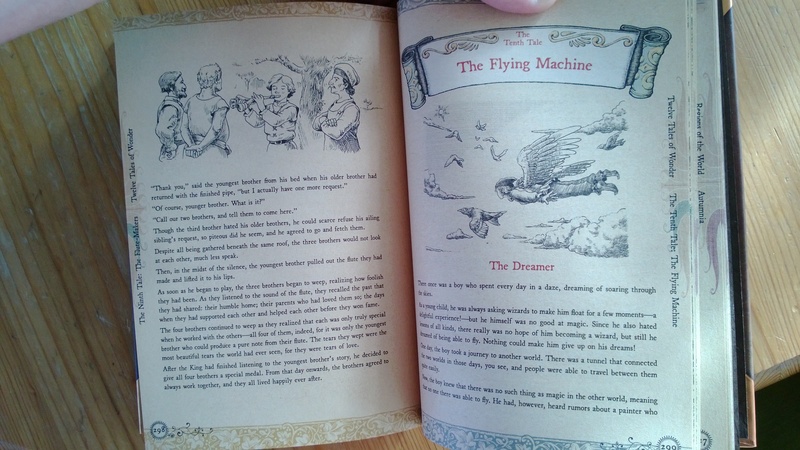 You can see an image of the Wizard’s Edition below. I’m loving Namco at the moment; first the lovely Tales of Graces f Day One Edition, and now this. I’m a sucker for a special edition, especially if it contains a nice book, so I’m all over this one! There’s no news yet as to which retailers will be offering this set, nor are there any pricing details, but I’ll certainly be keeping my eyes open. Who else is interested?